It’s that spoooooky time of year! The time for sizzling dishes, ghoulish wishes, and festive gatherings. 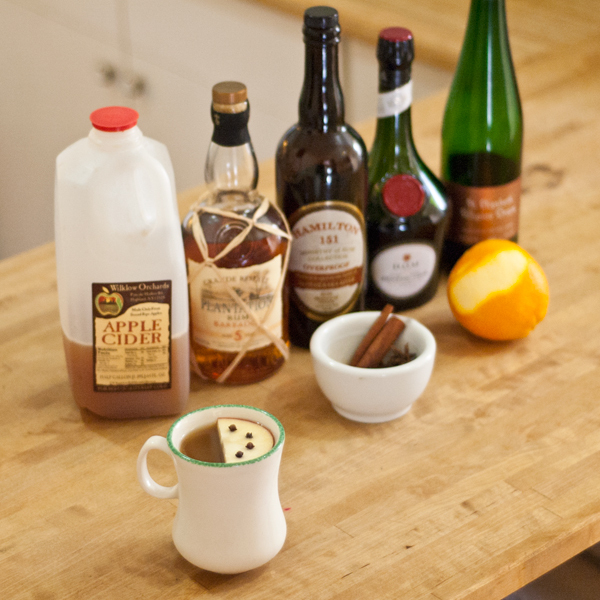 Seriously, if you’re throwing any kind of Halloween/Dia De Los Muertos/Harvest/I Love Autumn party, you can’t go wrong with Hot Apple Cider Punch! I created this Punch last Friday for a party my illustrious girlfriend was attending that night. 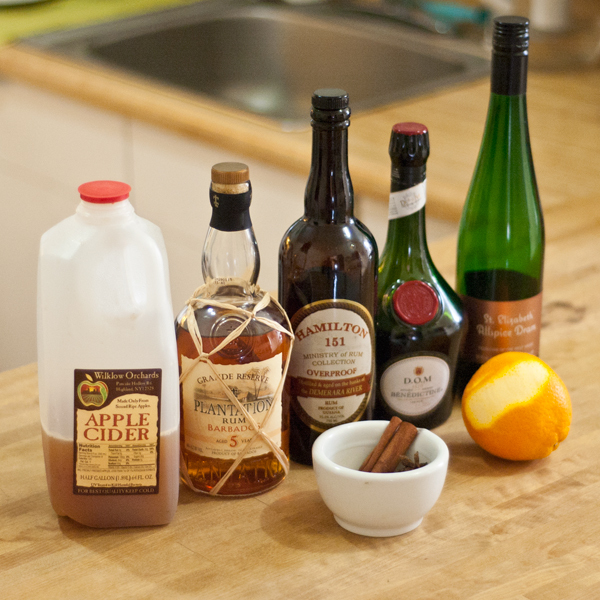 Being deep into Apple season, we decided go to with Apple Cider as the base and Rum as the main spirit. Let’s jump into the recipe. You’ll need spices. 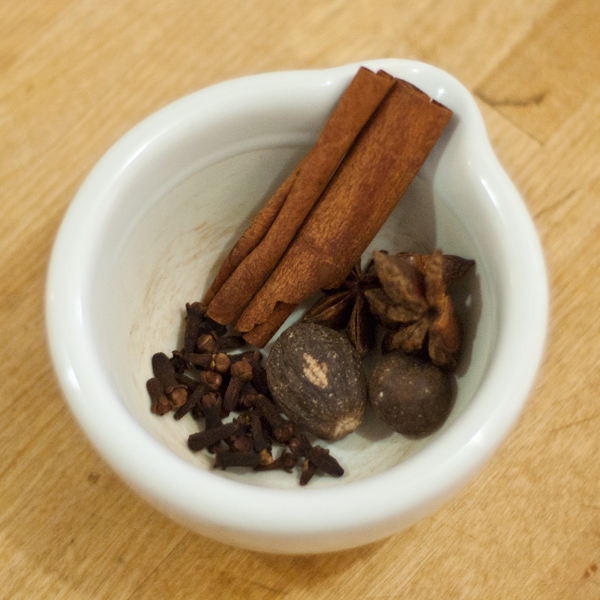 I recommend getting Mulling Spices that contain Allspice, Cinnamon, Nutmeg, Star Anise, Cloves, Black Peppercorn, and Orange peel. You’ll need spiced liqueurs. 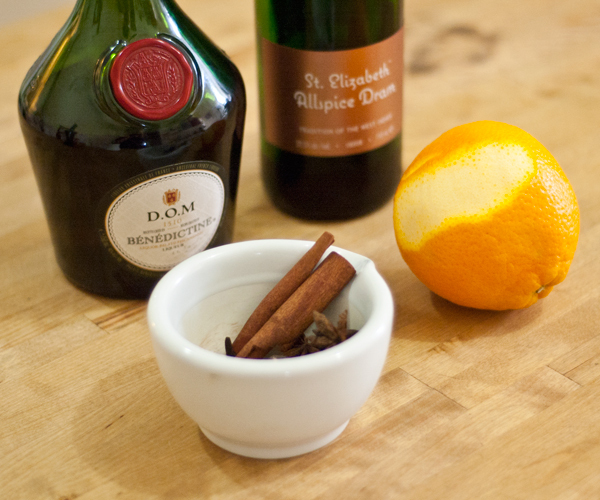 I wanted to pump up the Allspice, so I included some St. Elizabeth Allspice Dram. Then I wanted to add the luxurious sensuality of Bénédictine D.O.M. which has notes of honey, citrus, saffron, cardamom, ginger, and is super silky. You’ll need Lemon Sherbet. You’re so shocked right? 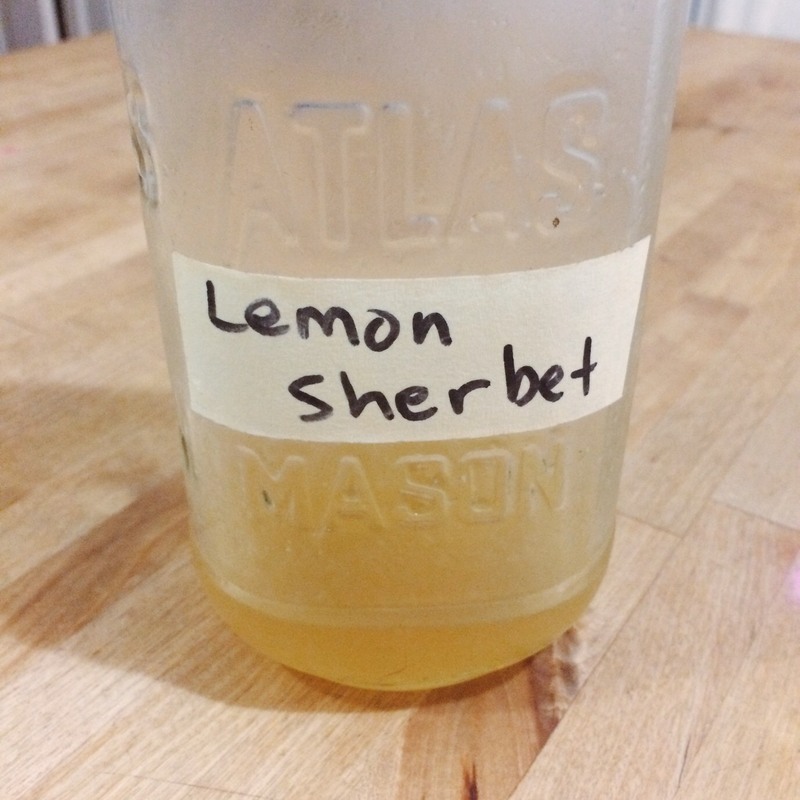 Unheard of that I would use Lemon Sherbet in a recipe. Why Lemon Sherbet in Apple Cider? 1. It’s my fave ingredient right now. 2. Lemon gives the Punch some brightness and bite. 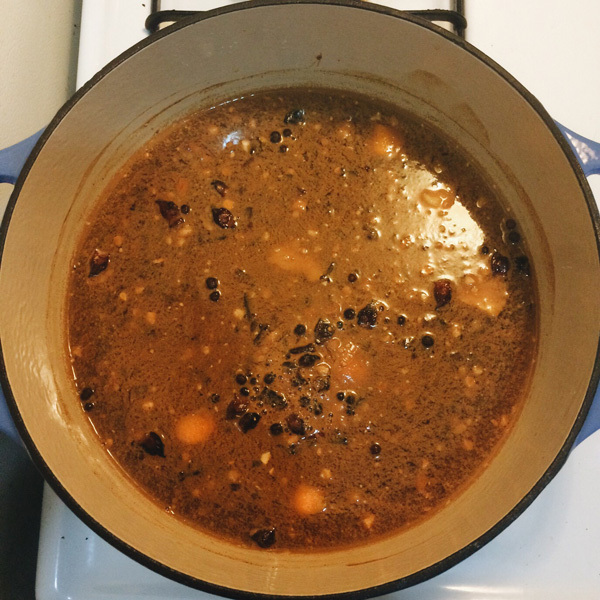 You’ll need a big pot, ceramic dutch oven, or Crockpot. Simmer baby, simmmmmer. Turn the heat down to the lowest possible setting. Add Liqueurs, Spirits and heat until the Punch is hot enough to drink but nowhere near simmering/boiling. You don’t want to cook the Alcohol out of the Punch, just warm the Punch back up. 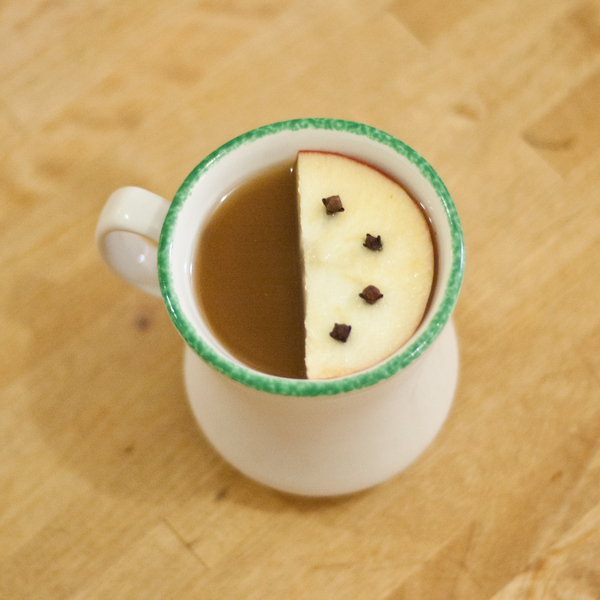 Serve in Mugs with Clove studded Apple slices. **I started with 64 oz Cider, and thought the Punch was awesome. My girlfriend thought it might be too strong for her friends and asked that I dilute a bit. I added 6 more oz of Apple Cider for a total of 70 oz of Cider. Then it was perfect. Remember, always ask your customers what they like most. Oh and y’all, these two Rums together, WOOOOOOOOO-eeeeeee. Killer combo! Both Plantation Barbados 5 and Hamilton Demerara 151 are in what I would call the “Smooth” category yet both have real depth of flavour without being too overpowering. If you’re using different Rums, I recommend staying in this category. 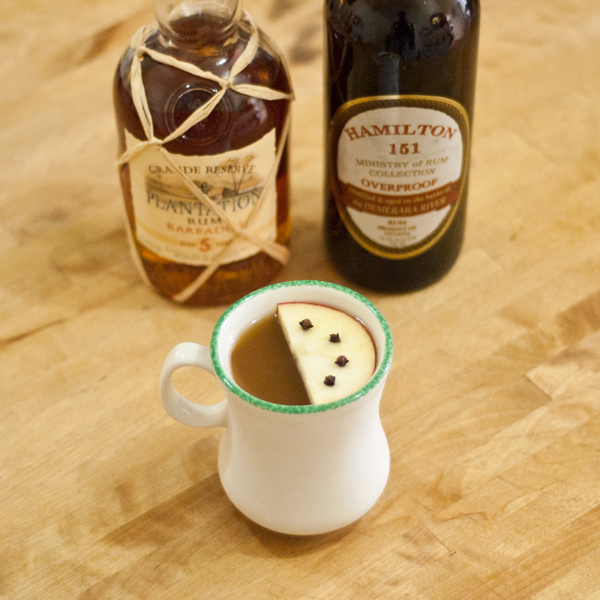 Cheers to you and all your holiday Party Punches!